Megan Turner is in love with the past. As a tour guide at a beautiful historic mansion, she tells visitors about its original owner, Charles Whitley. An inventor and businessman in the early 1900s, he rose from poverty to wealth…only to disappear without a trace. Charles was always intrigued by the future. He just never expected to go there. 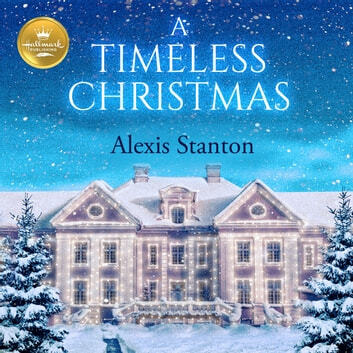 But when he repairs a mysterious clock he bought on his travels, he’s transported to the twenty-first century, with his home decorated for Christmas and overrun by strangers. Charles is determined to find a way back to his own era, especially when he learns about what happened after he left. But as Megan introduces him to the wonders of smartphones, pizza, and modern holiday traditions, they both feel a once-in-a-lifetime connection. Could it be that, somewhere in time, they belong together? This magical holiday romance includes a free Hallmark original recipe for Stuffed Crust Italian Pizza.